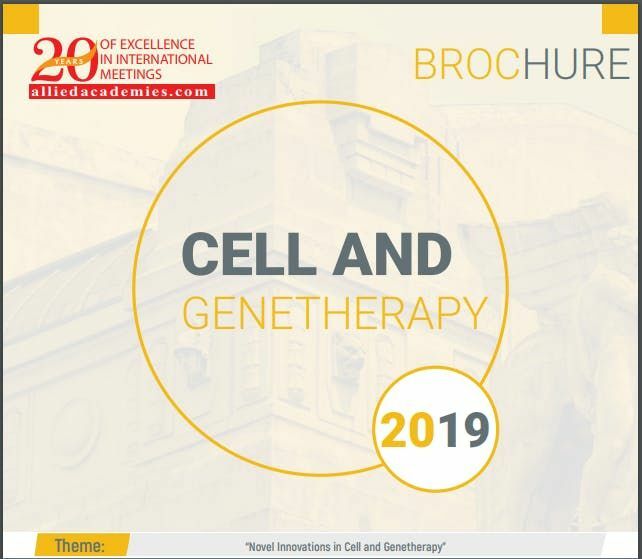 We cordially invite all the participants from all over the world to attend 2nd International Conference on Cell and Genetherapy during April 15-16, 2019 in Milan, Italy which includes prompt keynote presentations, Oral talks, Poster presentations, Young Research Forum, E-Poster presentation and Exhibitions.Cell and Genetherapy Conference hosting presentations from editors of prominent referred journals, renowned active investigators and decision makers in the field of Genetics and many related field.Cell and Genetherapy 2019 Conference deals with the diagnosis, prevention, and treatment & therapies of diseases of the gene specific, organ specific including the latest techniques in current era.Cell and Genetherapy 2019 is an extraordinary event designed for International medical health professionals like Immunologist, Oncologist, Neurologist, Genetic researchers and associated people of gene and cell research to facilitate the dissemination and application of research findings related to Cell and Gene therapy. The conference invites participants from all leading universities, clinical research institutions and diagnostic companies to share their research experiences on all aspects of this rapidly expanding field and thereby, providing a showcase of the latest techniques. 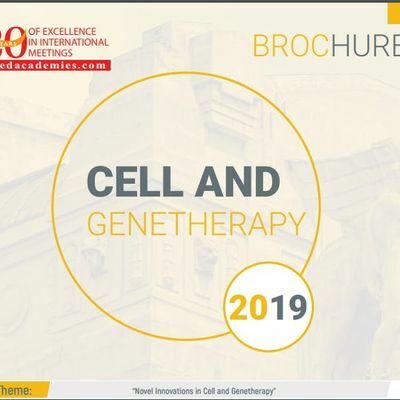 Cell and Gene Therapy 2019 provides two days of robust discussions on methods and strategies related to management and quality improvement of Cell and Gene Therapy as well as explore new ideas and concepts on a global scale and the topics include Genomic Engineering, Biomarker, Advances in Cell and Gene Therapy, Immunogenetics & Transplantation, Regenerative Medicine and many related topics of gene and cell.